British Beatles Fan Club: Cerebral Palsy Midlands Fundraiser Featuring "The Naked Beatles" - Tickets on Sale Now! Cerebral Palsy Midlands Fundraiser Featuring "The Naked Beatles" - Tickets on Sale Now! 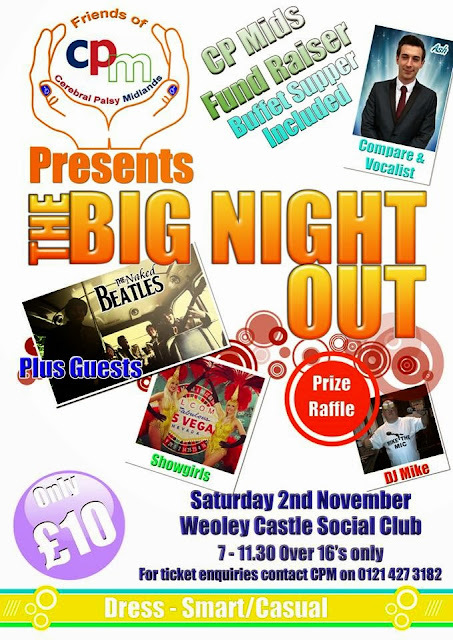 Cerebral Palsy Midlands, a Birmingham based charity that empowers and supports people with cerebral palsy and other related disabilities from across the West Midlands, is holding a fundraising event on Saturday 2nd November at the Weoley Castle Social Club in Birmingham. A great night of entertainment is planned, headlined by The Naked Beatles, in support of this very worth cause.